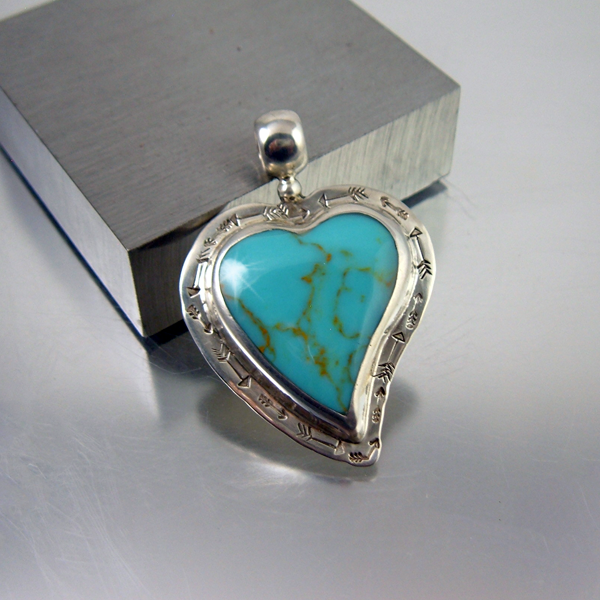 I set this turquoise heart in stamped sterling silver to give it a modern, fun, look. Even the shape of the heart is whimsical. 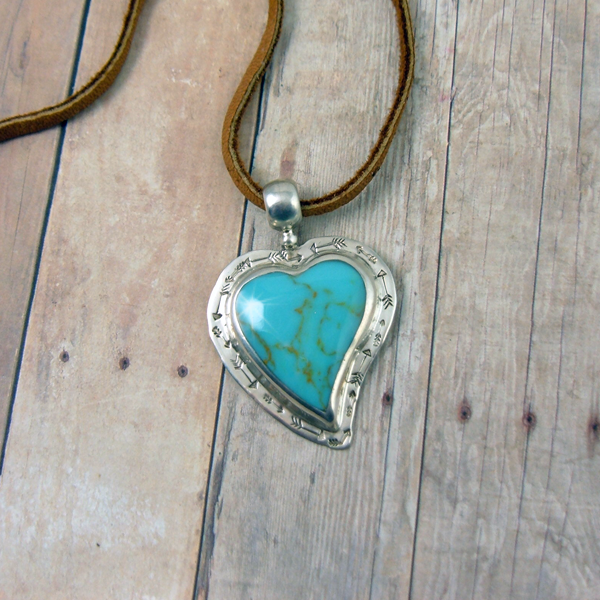 The silver is stamped with continuous arrows traveling around the heart; is it follow your heart or your arrow? You decide. The bail is fairly large in size so it�ll work with thicker necklaces, cords or small size beads. 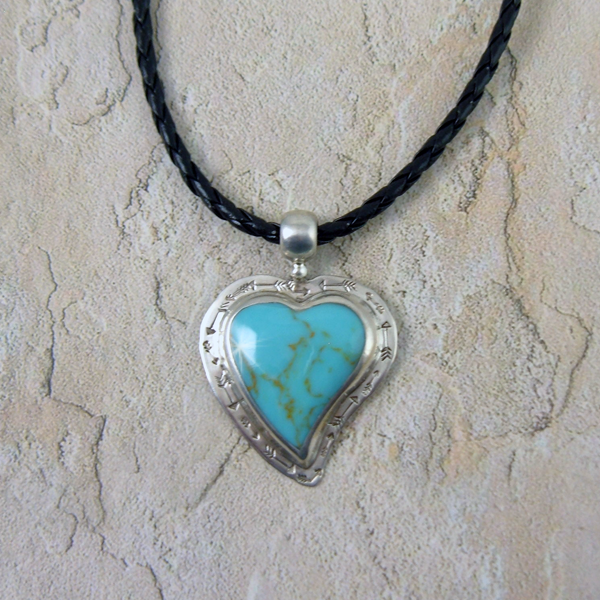 A simple leather cord makes this turquoise heart pound with excitement. Wear it alone or pair it with several other necklaces for a Southwestern or bohemian look.